One in seven sufferers of breast cancer have a form of breast cancer that is known as the Triple Negative Breast cancer. 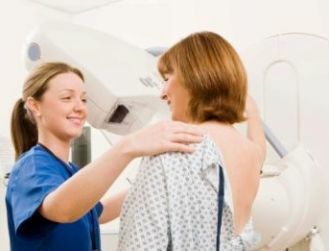 Now a new drug could offer hope for sufferers of this hard to treat breast cancer – a newly developed drug called BSI-201, could help women with Triple Negative Breast Cancer. Women who have this type of breast cancer do not typically respond to the commonly used medications, hormone therapy, tamoxifen or Herceptin, and hence have to rely more heavily on chemotherapy. The new drug has shown efficacy in treating this form of cancer, particularly when used in conjunction with Chemo and is even being called the new breast cancer Wonder Drug. This drug works by making cancer causing cells that have faulty genes to become unstable and then die. In phase 2 trials it was found that, 62% of cancer patients who were administered the drug along with chemo responded well, as against only 21% patients who responded when administered only chemo. Though potentially very promising, this drug still needs to have clinical trials carried out to check its efficacy against cancers. Next articleIs Acupuncture IVF Effective?